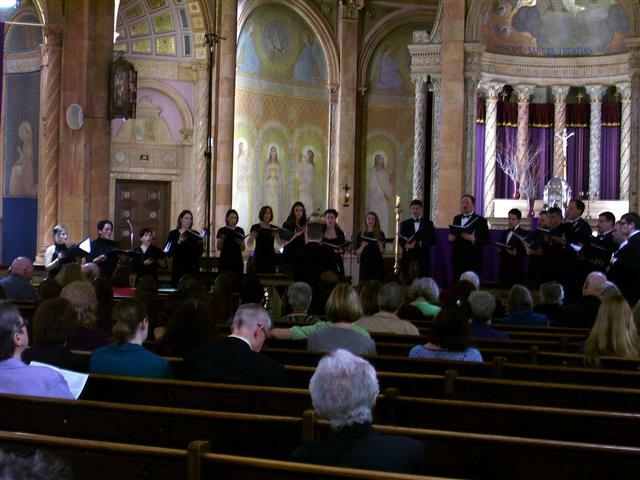 On Sunday, March 18, 2012, The Vocalis Chamber Choir presented “Choral Compositions from Buffalo and Beyond,” a diverse and entertaining mix from their repertoire showcasing composers with a local connection, including Dale Adelman, Caroline Mallonee, Roland Martin, Robert Paterson, Cary Ratcliff, Michael Slon, Persis Vehar and Marty Wimmer. 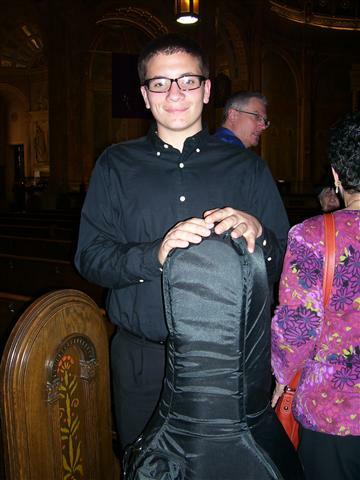 Benjamin Stayner, who provided cello accompaniment for Roland Martin's "Advent." 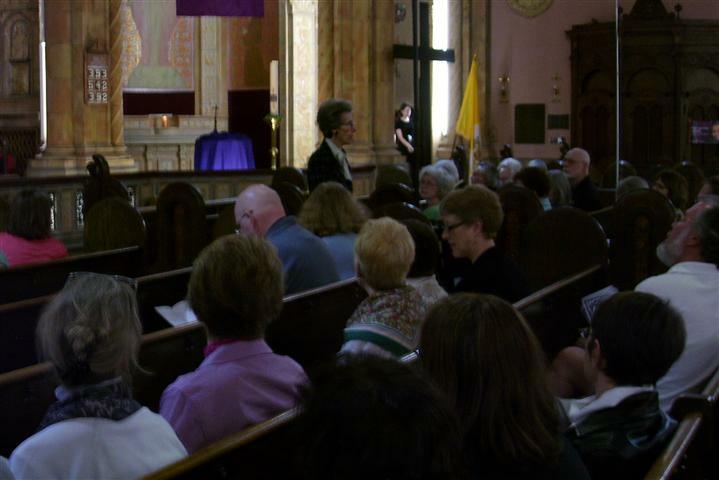 Music Committee member, Judy Casassa, welcomed our performers, composers and audience members. Vocalis opened with Marty Wimmer's "Peace," featuring flautist Mackenzie Bradley. 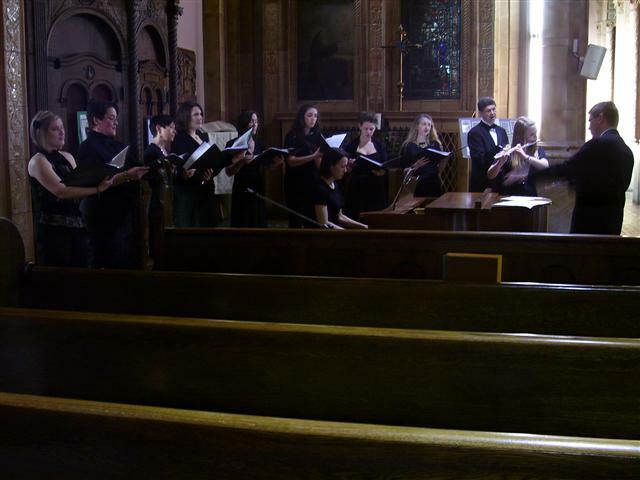 The Chamber Choir performed Michael Slon's composition, "I am the Way, the Truth, and the Life," with words based on John 14:1, 4-6. 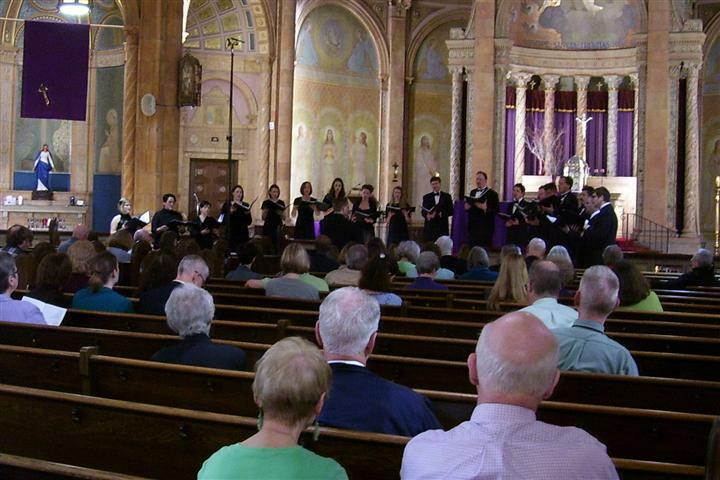 Vocalis performed Roland Martin's "Ave Maria, O Auctrix Vitae." 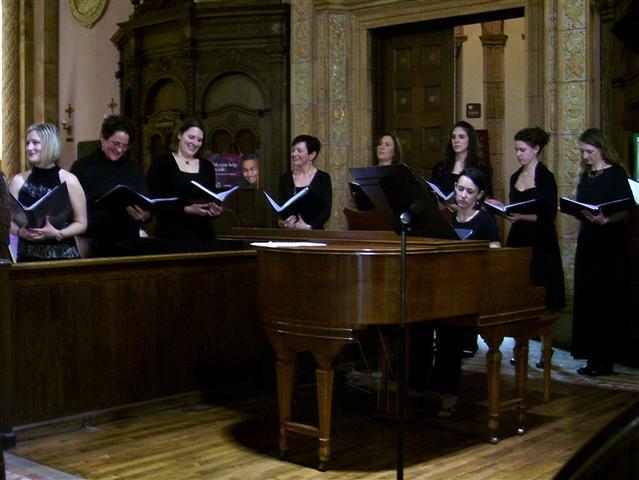 A portion of the Chorus after they performed Marty Wimmer's "Songs for the People." 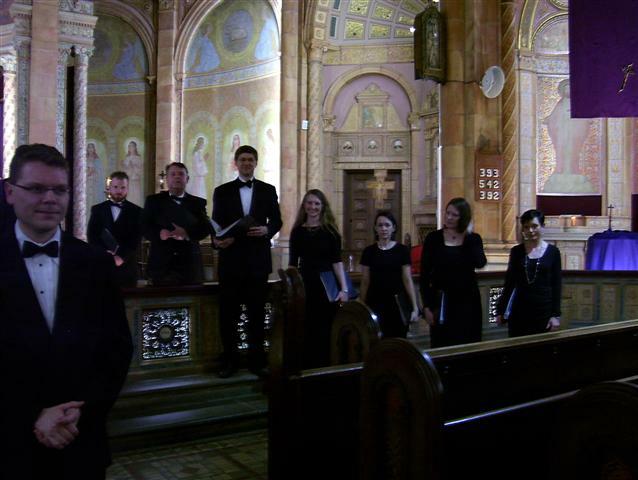 Vocalis Director James Burritt (left front) and members of The Vocalis Chamber Choir take a final bow. 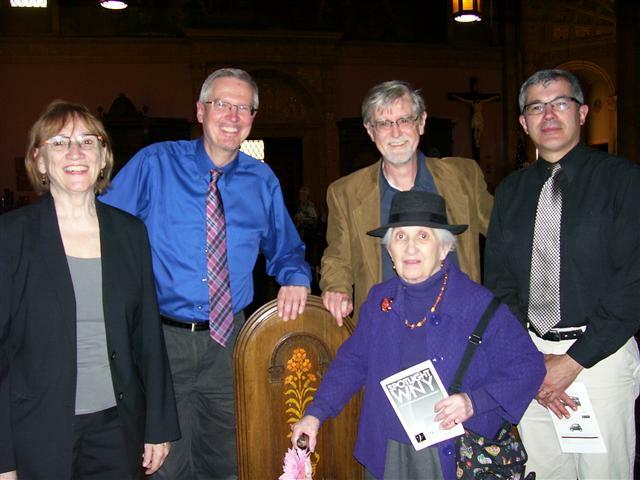 Among the Western New York composers whose works were featured in the concert, (l. to r.) Persis Parshall Vehar, Roland Martin, Cary Ratcliff and Martin Wimmer were in attendance. Barbara Holender (holding program) wrote the text for Cary Ratcliff's "Praise God for the Breath of Life." 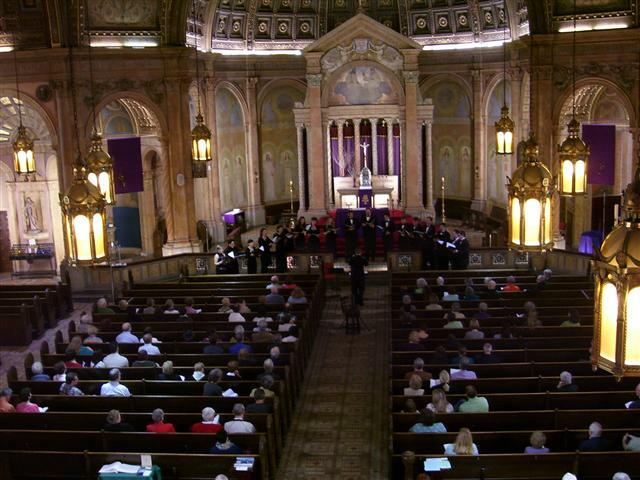 The Chamber Choir, photographed from the choir loft, performing two different arrangements of "Dona Nobis Pacem" by Caroline Mallonee and Persis Parshall Vehar.